But hey, the absolute priority is to give birth to reloaded! Back to UserVoice, they stated it was planned already ! I want news for App iOS now please, my iPhone is hungry of Darwinex native app. It is in the pipeline, yes! We'll keep you posted, I promise. I can confirm this is underway. what`s the status of the iOS app? 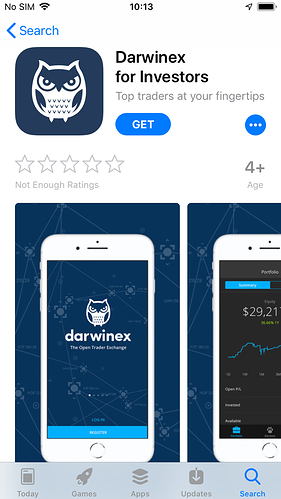 iOS app for DARWIN investors launched, be among the first to download it!